If you run a global business in the age of Trump, your company either learns to play a new game or finds itself in the crosshairs during an election year. Another audience was listening to Trump, and an unusual one at that. According to USA Today, labor union rank and file was joined by their leadership in supporting the president: “The union is critical of Harley for investing in Thailand...These companies are taking tax breaks with one hand and handing out pink slips with the other. ‘I’m going to call it like I see it … this is a corporate ambush on working people,’” said International Association of Machinists and Aerospace Workers President Bob Martinez Jr. When Trump sings the same tune as labor, it’s time for a company to get out of the way or do a careful reappraisal of their position. But Harley wasn’t listening. 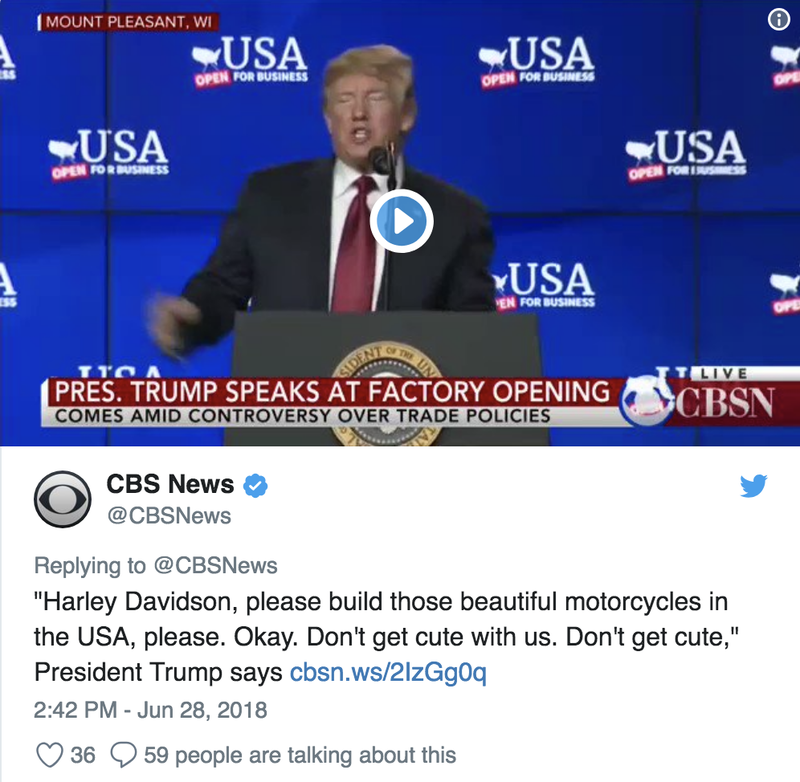 The response out of Harley-Davidson sounded like like a globalist chant by 90’s era neocons, “Increasing production capacity in Asia is consistent with the company’s long-term strategy to focus on growth internationally.” Strategically correct, but in election terms, a non starter. When a company counters the president’s bargaining power, they are no longer playing small ball. Harley Davidson sports a $7 billion market cap, which is not far from the market value of the four startup electric e-scooter makers (all of whom are made in China). 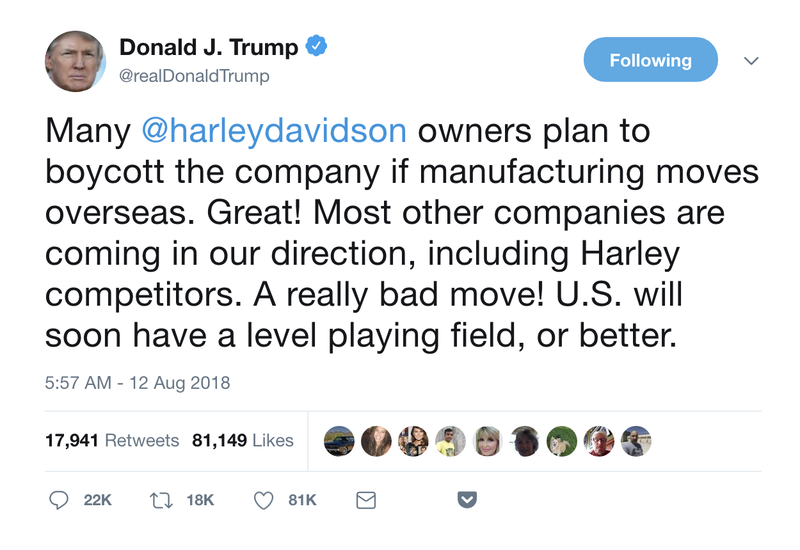 This suggests Harley has a real problem with changing demographics in this country, and that is driving their overseas ambitions. We get that. But staying quiet, maintaining a low profile, and having a tete a tete with the president would be the more sensible move, rather than relying on a globalism rebuttal during a tough election year. While the duty to shareholders very much includes building a manufacturing facility in Thailand, the how, when, and why should be more carefully constructed.